The New Brunswick Court of Queen's Bench has decided to allow Dr. Henry Morgentaler to proceed with a lawsuit against the government over its long-standing refusal to fund abortions at his clinic. The NB government is considering whether to appeal the ruling. 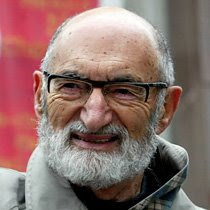 Judge Paulette Garnett said Morgentaler, an Order of Canada recipient, should have legal standing to proceed with the lawsuit because the personal nature of abortions - and the fact the procedures are time-sensitive - make it difficult for women to take the government before the courts, said a justice official on background. The province had argued Morgentaler could not have standing because only a woman who needed to use the clinic had the right to challenge abortion policy.